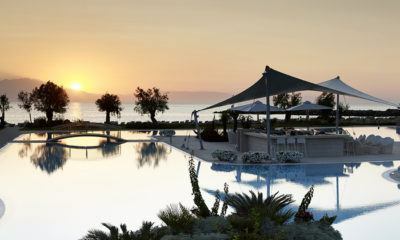 Have you ever heard of the Mayr cure? I hadn’t, until Park Igls came on my radar. 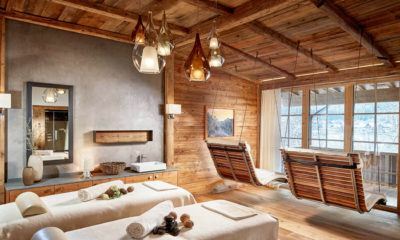 Going for a detox in Austria was never on my list – until life changed a bit for us and, in all honesty, it was one of the best experiences I have had to date. Was it a pleasant one? Well, it depends how you look at it, where you are in your life and how the concept of a full detox appeals. 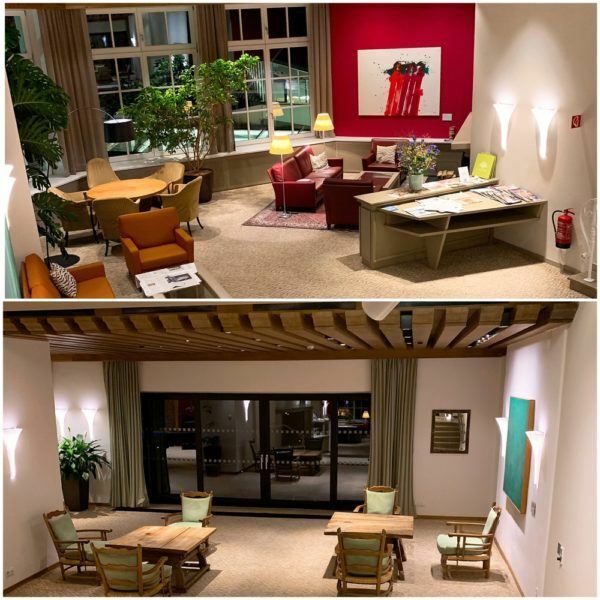 There aren’t many reviews of Park Igls – I found two which you can read here and here. Luckily for me, I do know Jess and was able to ask her some questions before I made my way to Innsbruck (which is served by BA from both Heathrow and Gatwick). 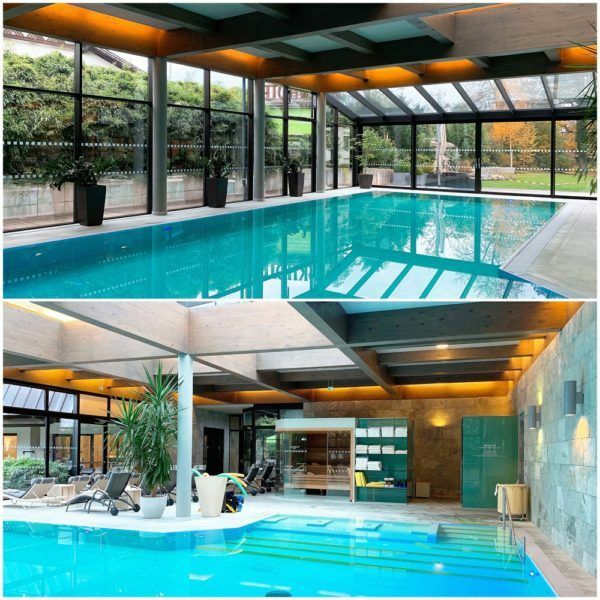 Tatler considered it the most effective medi-spa in 2015 and it remained on Conde Nast Traveller’s Top 35 spas in the world list. Awards aside, here is how my stay at Park Igls went. Early in the 20th Century, the Austrian doctor and scientist Franz Xaver Mayr developed a theory that would fundamentally influence the course of preventive medicine. He based his approach on the fact that most common lifestyle diseases originate in the digestive system. Preventive medicine at the Park Igls Mayr Clinic is based on six principles: alongside Cleansing, Supplementing, Self-discovery and Exercise, Modern Mayr Medicine adds the pillars of Rest and Education to achieve sustainable results and allow guests to enjoy a new and much improved quality of life. You can read more about it here – but the principle is that you will be going on a detox programme, eating very little (therefore you will lose weight – which is not the goal in itself, but obviously will happen as you will be on a calorie-controlled diet), but the journey begins just there. 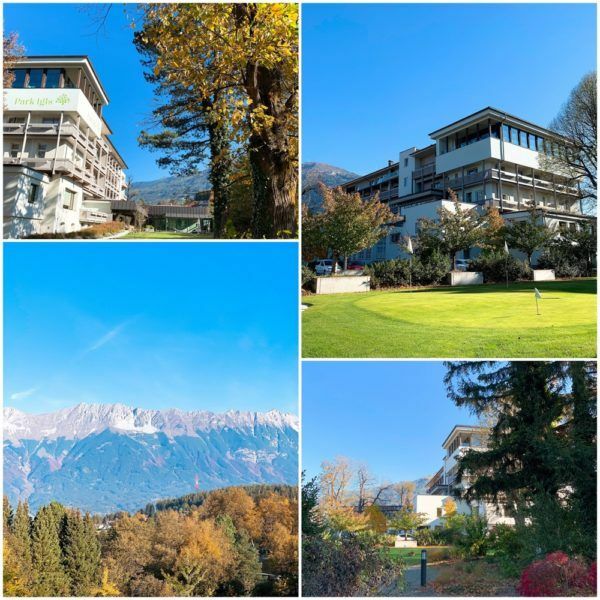 Park Igls operates as a normal hotel (you can just book a room and turn up) but most guests are there to go on a personalised Mayr programme. 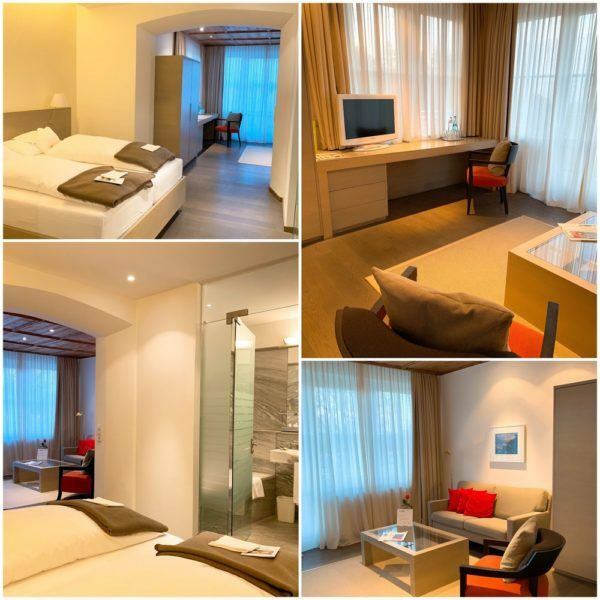 The classic programme costs 1254 Euros for a week, and the destress programme costs just under 1887 Euros for a week. Accommodation is charged separately and starts at 1000 Euros per week (and the price is the same almost for single or double occupancy). Most people go on their own – but you will also see couples and groups of friends, so anything goes. Obviously ‘full board’ is included (!) and there will be no bar bill on check-out. 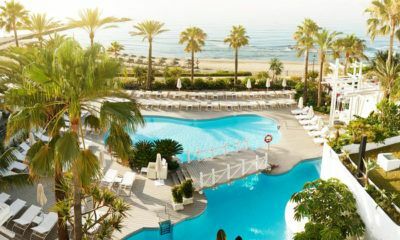 One thing I would like to make clear is that you are not going on a luxury holiday with a wellness element, like The Golden Door, which I recently reviewed (and thoroughly enjoyed) in California. 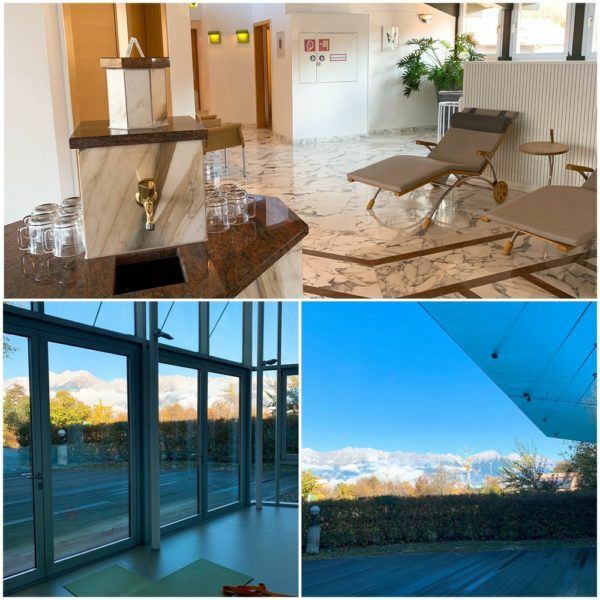 Park Igls is a medical facility (with a rather nice hotel and wellness component) – it offered a truly unique experience which may or not be right for everyone, but for me, at that time and place, was exactly what I needed – and more. My programme was less medical and more focused on my mental wellbeing – I enjoyed my ‘talk therapy’ sessions, and I was seen by a doctor three times during my 7-night stay. I had daily massage treatments – but again, they weren’t ‘spa massages’. 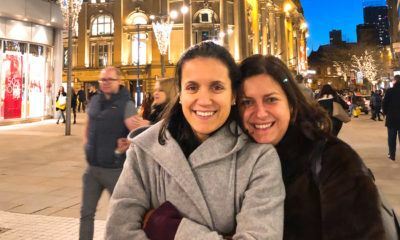 Christine was my therapist for the whole week and she ‘gave me what was required. My reflexology session was incredibly painful – but much much needed. She talked me through all the pressure points like no one has before. I had two sacro-cranial massages included in my package, but they were so good, I added some more. She told me I had to cry, because she could feel sorrow inside me. I had visions of a German-speaking lady beating me up – it so wasn’t like that. Doctor Kolnig, which was ‘my doctor’ explained to me that the reason why I hadn’t lost the weight that I put on in the last 12 months (I stopped smoking and had 2 rounds of IVF, in addition to the 2 the year before) was because of stress. It didn’t matter how much I was eating or exercising – my emotional side was preventing the physical side from reacting. I wasn’t expecting to hear that from an Austrian doctor – and this is one of the parts of the experience I appreciated the most. 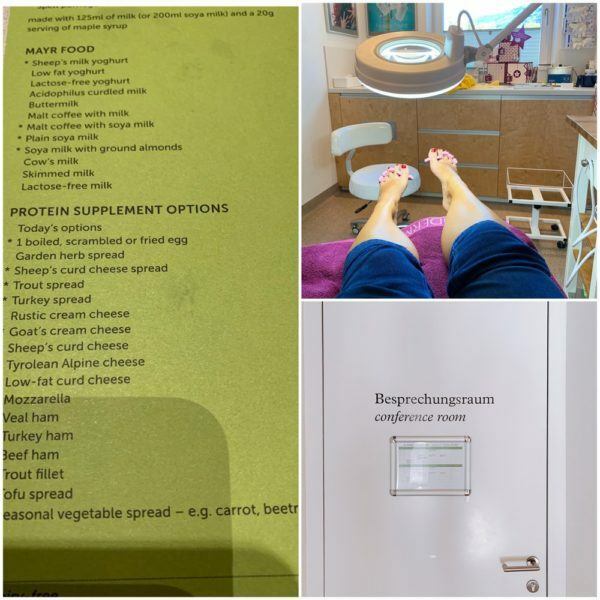 I loved how they were incredibly ‘medical’ – other guests were doing blood tests, MRIs, liver cleanses, pre-diagnosing Alzheimers, getting heart problems diagnosed. 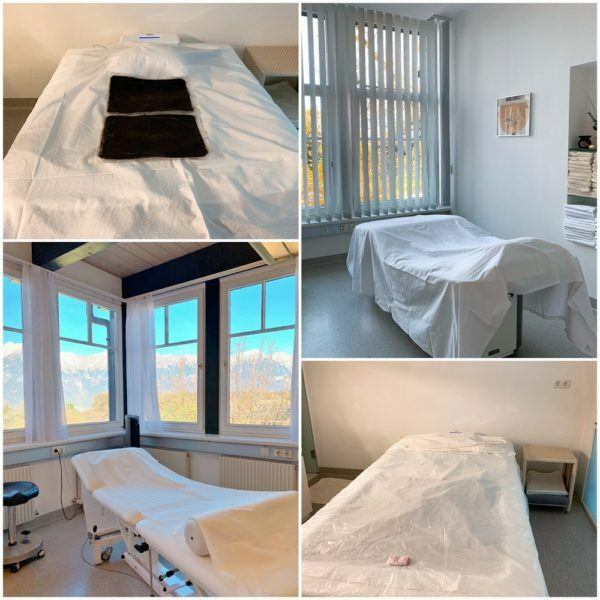 But the team at Park Igls believed in alternative therapies – like acupuncture and reflexology and I found the way they combined both to be absolutely perfect. I tried laser acupuncture for my tennis elbow and could not believe it. You see the doctor the next day you arrive – so whatever you do, do NOT arrive on a Saturday like I have. I was told not to – but I did it anyway and I would recommend you do arrive any other day of the week, so you can actually start your programme when you see the doctor. You are measured and weighed and put on a numbered programme. 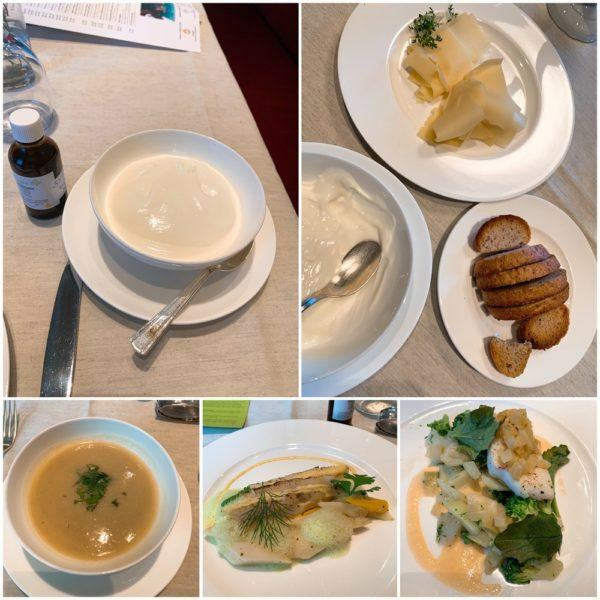 The Mayr cure ranges from zero (total fasting) to level 7, where you are combining all sorts of food, and throughout your stay, and depending on your progress, you move up the ladder (and eat more!). I started on level 3, which is around 900-1000 calories a day, and I stayed there until the last two days, where I was moved on to levels 4-6 (but more on that later). Breakfast is served between 7.30-9am so you wake up at whatever time you want and the first thing you have to do is drink the bitter water, which you take up to your room the night before and mix up with tepid water in the morning. The bitter water is bitter (duh! ), and will make you go to the loo exactly 3 times a day. It took me 2 days to get to that level and you will see people sometimes running from breakfast to the loo. Everyone is on the same boat, so to speak and it does work a treat. 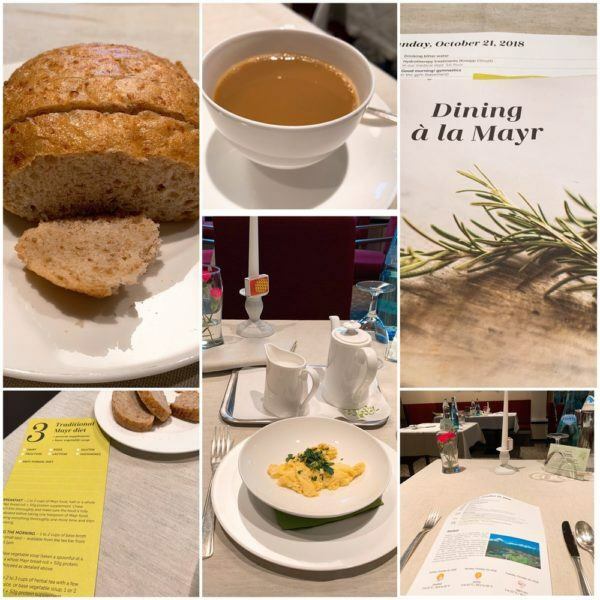 For breakfast, you will be given a stale bread roll, and your choice of one of the Mayr foods as well as 30g or 50g of a protein of your choice – and you can see the list below (on a different image). You also have to chew every bite 40 times – that produces saliva which then helps digestion. And also tells your brain when you are full. You are encouraged to not speak during meals and/or read or play with your phone. Focus on the food and enjoy the moment. I thought this was a bit weird – but as the days went by, I really did savour everything in a completely different way. 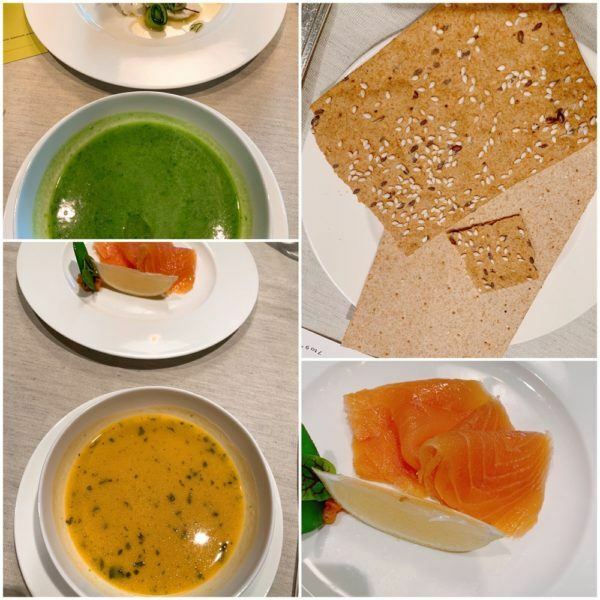 You do not drink anything during your meals – interestingly, it wasn’t as hard as I thought. A tip: have your bread toasted. It makes it a lot more bearable. My strategy was to have foods that weighed less so I could visually have more of it – so I only had coffee on the first day. My typical breakfast was the low fat yoghurt, the bread and alpine cheese or a scrambled egg. You also have to drink 3-4 litres of water a day, outside of meals. This means a LOT of peeing, namely in the first couple of days, but things go back to normal at around day 5. 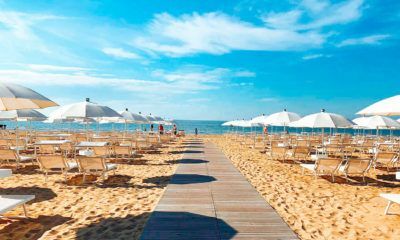 You have a daily programme of scheduled activities – like your massage, doctor appointments, beauty treatments (I highly recommend a pedicure there) and you can sign up to various exercise classes, as well as sightseeing activities. I started each day with a Bath treatment called Kneippen, which involves sitting down with your feet in a bucket of warm water and every 5 minutes go for a lap in a VERY cold mini pool. If this did not wake you up, nothing will. My programme included some treatments and that meant getting naked every day for those private treatments. I am not a naked in public person and I think more people saw me naked that week than in the last 10 years. These people were the therapists and attendants, who, I have to say, were incredible. I had an issue whereby the classes I wanted to do clashed a lot with my scheduled appointments. Half the classes are in English, but I wonder if there is a way to make yoga in German work for everyone? I had to compromise and I did yoga once, went for a morning walk twice and for a swim three times. I also napped a lot (as I felt exhausted on some of the days) and read 3 books and 9 magazines during my stay. Make sure you take these with you (and then leave behind for other guests). There are daily English newspapers and as people shared their reading materials, it made for quite a good selection in English. Naturally, most items are in German. Lunches and dinners were for me soup, 2 sesame crackers and 50g of protein. Whilst I was hungry for the first 2 days, I did enjoy the selections. I almost always had mozzarella, smoked salmon, cream cheese or the alpine cheese. And delicious hummus. On the 6thday I was given cooked food (rabbit and fish, I seem to remember) and blimey, it was interesting to go back to it. 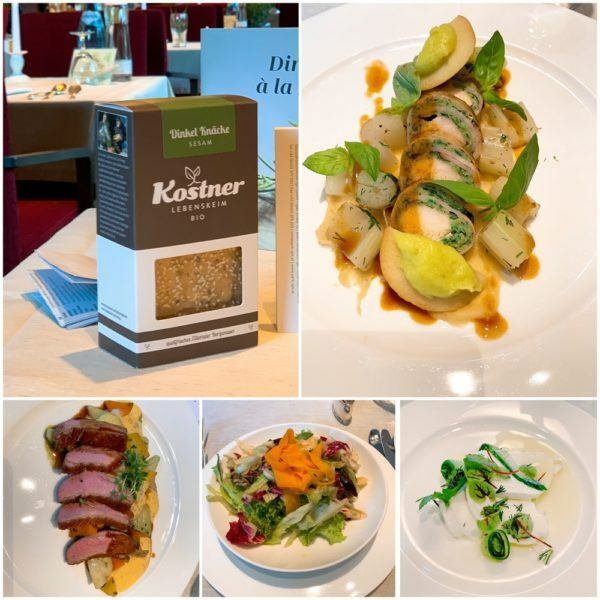 By following the Mayr diet you will obviously lose weight – I lost 3kg in 5 days. But the point of the whole exercise is not just that (or that at all). I had been having an issue with my skin due to the IVF drugs – and no matter how many facials I tried, nothing cleared my skin up. My skin was even worse during the first days of my stay – but after I left, I have my face back, so to speak. I get the odd spot before my period as normal, but everything else is gone. I booked a facial too (with proper extraction, Germanic style), and I think it was the best outcome I could have hoped for. One of the things worth mentioning: you will be caffeine-free, so expect some real headaches on the first couple of days. Everyone has them – this is where I smugly say I did not as I have been caffeine-free (90% of time) for the last year, so I did not have to deal with that. But I still did not sleep well – and the doctor did give me some magic sleep drops. 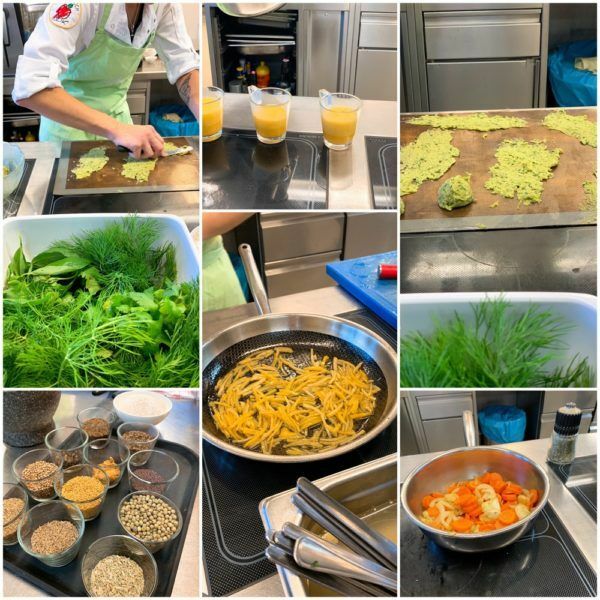 I signed up to a cooking class one afternoon – the soups they serve at Park Igls are outstanding and I wanted to understand how they made them. 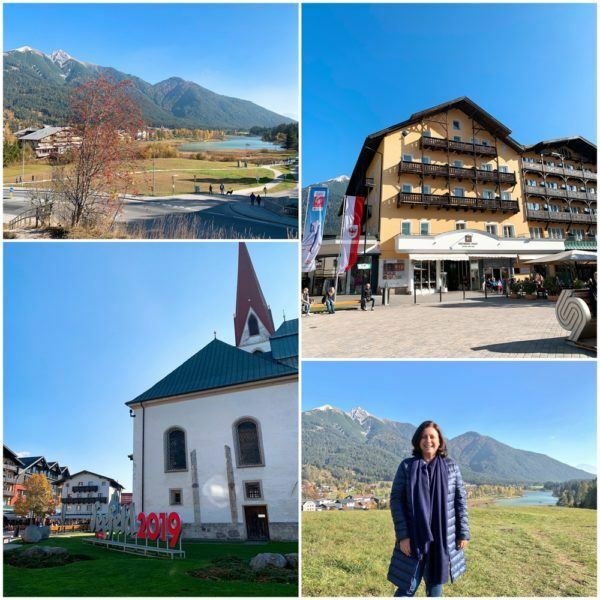 I also went on a sightseeing trip to Seefeld, which was a gorgeous town 40 minutes away. 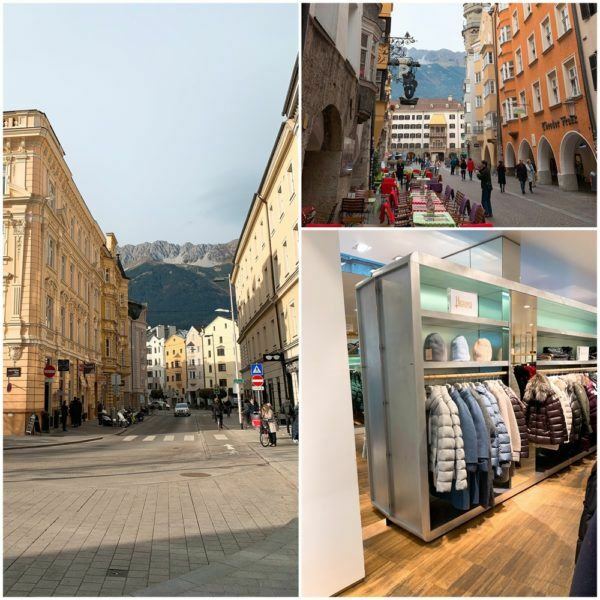 One day, I went to Innsbruck for some shopping – you are given a free return bus ticket a day during your stay, and it takes about 15-20 minutes to get to the city centre. It was very hard to walk past bakeries – it seemed to be that every shop was a bakery, but I overcompensated with some very good shopping. There aren’t a lot of shops in Innsbruck, but I found a handful of very well curated designer shops (Einswaller) and quite a few great home shops. It made for a nice afternoon, anyway! Dinner ends at around 7.30pm and I had a chat with my new friend Carina every evening and we parted ways at around 8.30pm. I never go to bed at that time at home and I was a bit nervous to what I would do each evening. I will make a small comment on the ‘common living room’ decor which was quite.. strange. The whole facility is quite modern and this room just didn’t flow (in my opinion). You are encouraged to have a hot water compress (a hot water bottle in other words, but with a bit more skill) on your liver each night – and I really enjoyed it. I took my Amazon Fire and watched some films every night which was lovely. And I read. I read more that week than in a whole year, I think. I left my phone in the room for a few meals and that was quite liberating! 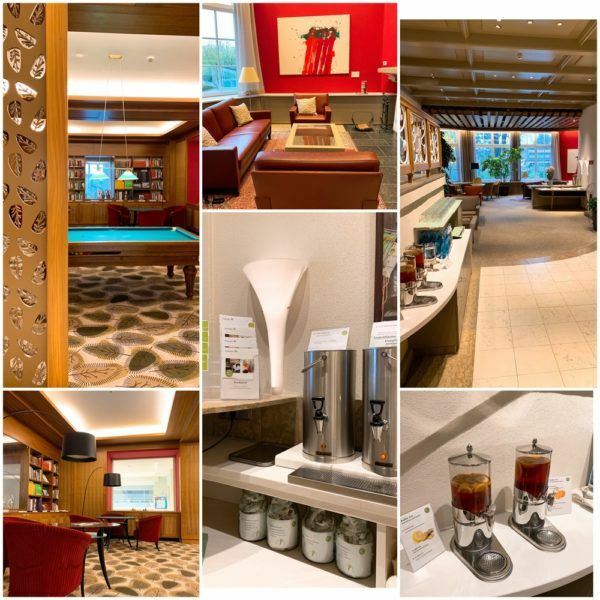 The rooms are all modern and very functional – everything works well and I would recommend you book the best room you can, as I personally spent a lot of time in the room and loved having the separate seating area. 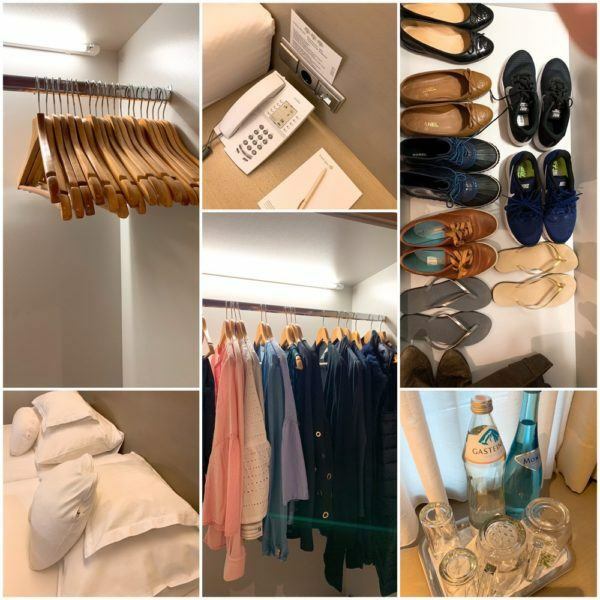 I had a ‘junior suite’ which came with the most generous hanger selection I have seen in a long time – and of course I took WAY too many clothes and shoes. There are sockets everywhere and I used my desk every day as I did have some work commitments I had to honour. 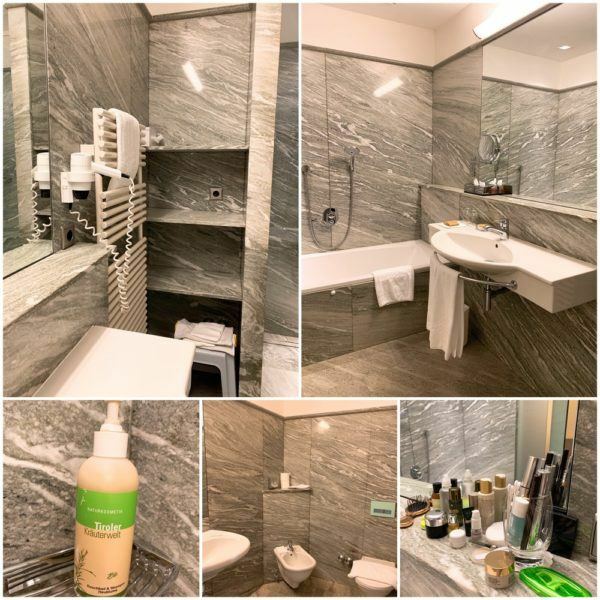 The bathroom came with a separate bath and shower (with excellent water pressure), and only an organic shampoo + shower gel. You were asked not to use moisturisers during your stay so they wouldn’t interfere with the detox process – and guess what? I did not and did not have a problem. I took make up but I never used it. I also used up some face masks I brought from home (why not) and ordered every pillow from the excellent pillow menu, until I found the perfect combination for me. In Austria, they tend to offer 2 pillows of different sizes and I needed some larger ones. I also gave the leg pillow a try and loved it. There is no turndown service (and definitely no chocolates on your pillow every night). I thought the service was second to none – and I mean it from my heart. You are set up for success – everyone is on your side. But I thought people could be a bit cold and ‘too medical’ – and it was the exact opposite. Anything I asked for, it was always a pleasure. Things are pretty casual at Park Igls and during the day, most people wear their robe (and also to dinner sometimes). You take your own workout clothes and people did make an effort for dinner (normal trousers and shirts for men, top and trousers and flat shoes for women). I would suggest taking your own flip flops and, of course, swimwear. Walking shoes (or trainers or something) are highly advisable too. No need for heels either. A medical detox is something that isn’t, of course, for everyone. If you asked me last year, I would very politely decline the invite (or have zero interest). With where I was in my life, I said yes and was on a plane two days later. 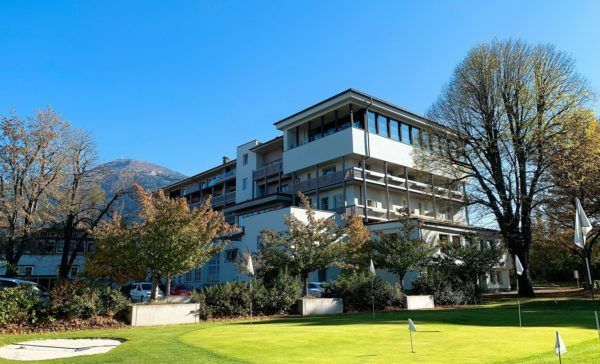 As I made my way to Park Igls, I was a little bit nervous – I had never been on my own for a whole week, I thought I would be uncomfortable and it did not happen. I loved being on my own, I needed for nothing, and yes I was hungry at times (very hungry some times), but things got better. I think the fitness aspect of the programme could be improved – you can book personal training sessions, but I personally missed out on many classes. I was unlucky that I went on a week where the Pilates instructor was away – but I think some reformer machines would actually be incredibly popular. If Park Igls is trying to appeal to a younger audience, I think this is an area where there is room for improvement. The daily walks were popular (I went at 7am on the first day, but then slept late on the other days) as were the post lunch nordic walks. But overall, my body reacted to the treatment and I feel like a cloud has lifted from my shoulders. 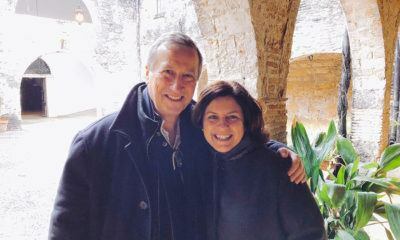 We have done a 5-day Mayr cure at home post Christmas and we felt amazing and lost the same weight. But we felt amazing and then resumed normal life with a healthier approach. Park Igls gave me more than just a detox and I will go back. I am making plans to do so, and also for my husband to go. But separately – because in all honesty, I think it is an experience to be enjoyed alone. 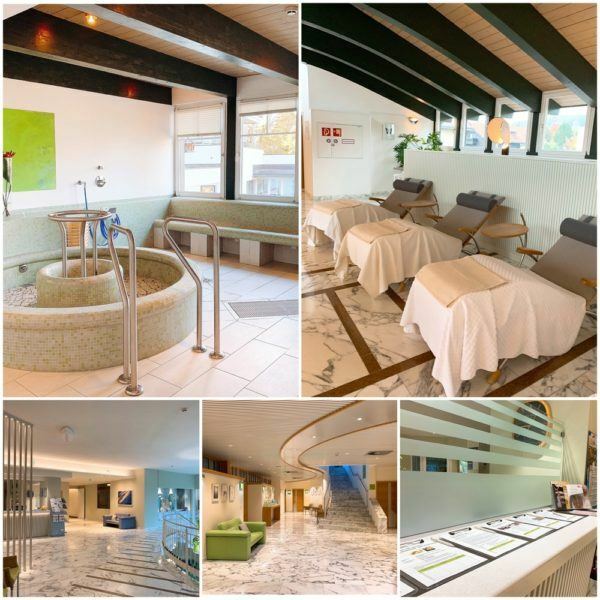 If you are considering a medical detox, I do recommend Park Igls 100%. Disclaimer and fact box: I was a guest of Park Igls during my stay and opinions are all mine. Whilst not a walk in the park, I did have a life changing experience.